Mr. Chertoff, former director at Alinda Capital Partners, the largest independent infrastructure private equity fund, has had more than 35 years experience in fostering constructive cooperation between the private sector and municipal services. He has researched and developed water, solid waste and distributed energy projects. Much of his early experience was gained at the City of New York. As chief economist for New York City’s Environmental Protection Administration (Sanitation, Water Resources, Air Resources and Noise Abatement) he founded and directed the NYC Recycling Office, initiated the world’s largest public-private newspaper recycling program, established guidelines for purchase of recycled products, negotiated the City’s first royalty payment for recovery and use of landfill gas and managed its first Energy Office. As a consultant to systems manufacturers Mr. Chertoff directed government relations, market planning and project development for full service, waste-to-energy projects, transfer stations and materials recovery facilities serving county and municipal agencies. He also developed low-technology alternatives appropriate to less developed jurisdictions. This includes programs for landfill gas recovery and re-use, medical waste disposal combined-cycle (cogeneration) power plants fueled by waste-wood, sugar cane toppings and other by-products of agrarian cultures. He has been retained by international water/wastewater service companies and manufacturers of wastewater related equipment such as sludge dewatering and drying, materials handling, vacuum wastewater collection systems and package wastewater treatment facilities. Among his clients are The American Forum for Global Education, Black & Veatch, HDR, Medcalf & Eddy consultants, Archaea Solutions organic wastewater sludge reduction system, water/wastewater treatment facility development in The People’s Republic of China and has been US correspondent to Global Water Intelligence, Oxford, UK and approximately 20 capital management firms. Mr. Chertoff has been an advisor to the NYC Comptroller on watershed protection issues and to the NYC Office of the Public Advocate. He currently advises several New York City not-for-profit organizations. 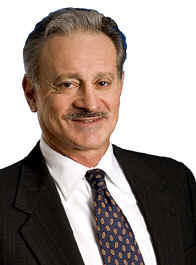 He was a founding Board member of the Environmental Action Coalition, Water Industry Council and Water Institute of the National Council for Public Private Partnering, a former director of the New York League of Conservation Voters and a member of the National Research Council's Water and Technology Board, Committee on Privatization of Water Services in the United States. He has authored and co-authored several books and many publications on private operations of municipal services. In 2009 in Zurich, Switzerland, former US Vice President, Al Gore awarded Mr. Chertoff the Global Water Intelligence Award of Distinction for water Deal of the Year for Alinda's Santa Paula, California wastewater recycling facility. Mr.Chertoff has advanced degrees in Economics (Public Regulation) and Education.